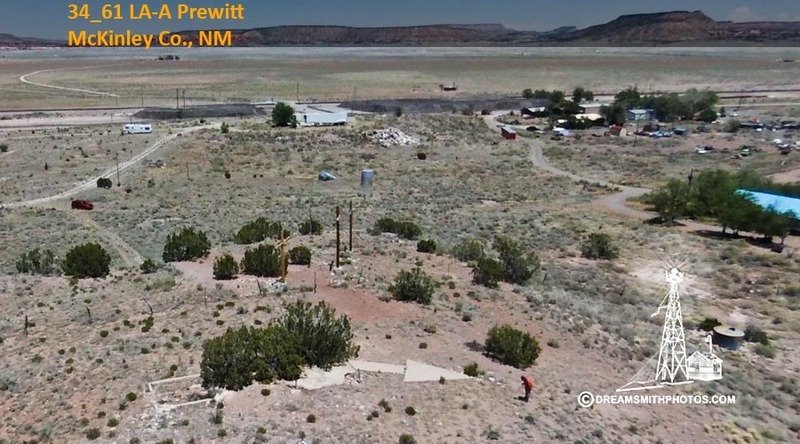 The Prewitt Site is located in E. Gallup/Prewitt, New Mexico just north of I-40. 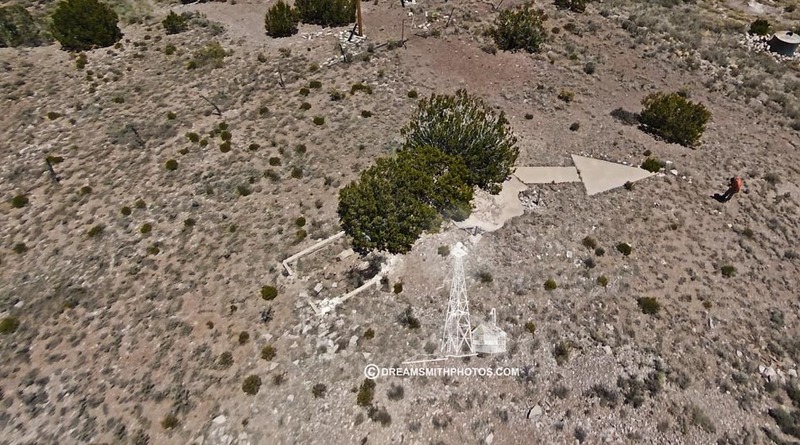 There is a dirt road leading from the frontage road, which is Route 66, to the base of the small hill where the arrow is located. Four-wheel drive was needed because it was raining and the road itself was very muddy (clay like mud) & slick. Normally it wouldn’t be a problem. Even the path up the hill was very muddy, which made walking difficult. 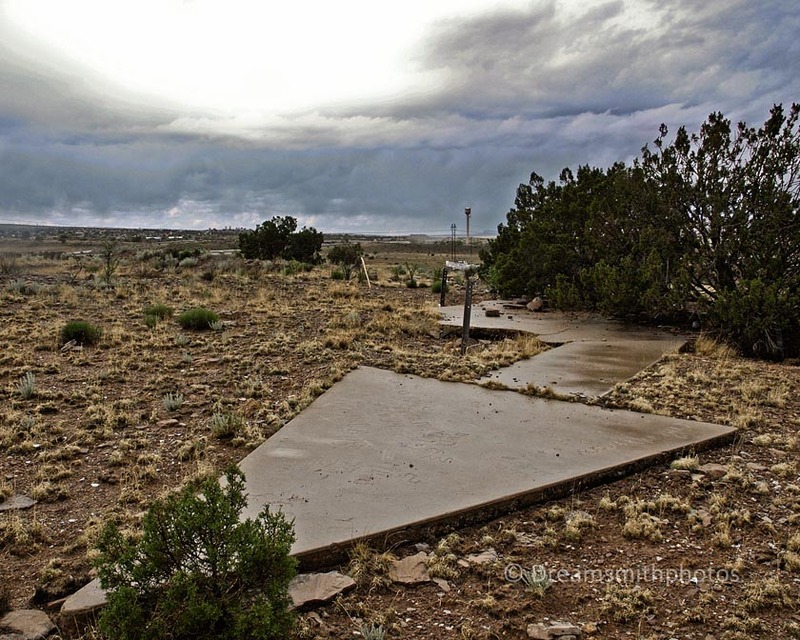 All that remains of the generator shed base is the outside concrete foundation. The rest of the arrow is in fairly good condition with some cracking and portions of the edges broken off. The arrow is 66 feet in length. The pilot would approach the tail of the arrow on a compass heading of 106° (E-SE), and then exit the arrow on a compass heading of 135° (SE).